I receive inquires about where I find my vintage stamps from brides quite a bit and wanted to put all my thoughts, tips, and excitement in one place. As a calligrapher, I LOVE vintage stamps. They add a level of whimsy and wonder to your wedding. TBH: I’ve learned so much from these two blogs on vintage stamp search. Much of what I’m going to share, I learned from them. Feel free to read them over me. It's easy to get overwhelmed with all of the options. My starting suggestion is to find one stamp that you love and build around it. Your best bet is to stick to a theme. You can click on the picture to be linked to where these are sold. Another option would be around a decade or personal theme. This could be "CA meets TX" or "birds and flowers." My bride below used "art deco." The purpose of a theme is simply to help you narrow down all the choices out there. You can toss the idea...but trust me...it will save you HOURS if you pick a theme and stick to it. 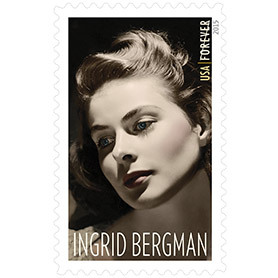 This brings us to the main question I'm asked: Where do you get your vintage stamps? The best place I've found for vintage stamps (beyond thrift stores) is EBay. When searching on Ebay, you can just type “vintage stamps” in the search bar and things will come up. A better route is typing in “FV + 1 stamps” or “full value plus $1 stamps.” What this search populates for you is a list of full value stamps plus a dollar. This is by far the most economical route. They list almost every stamp known to mankind. 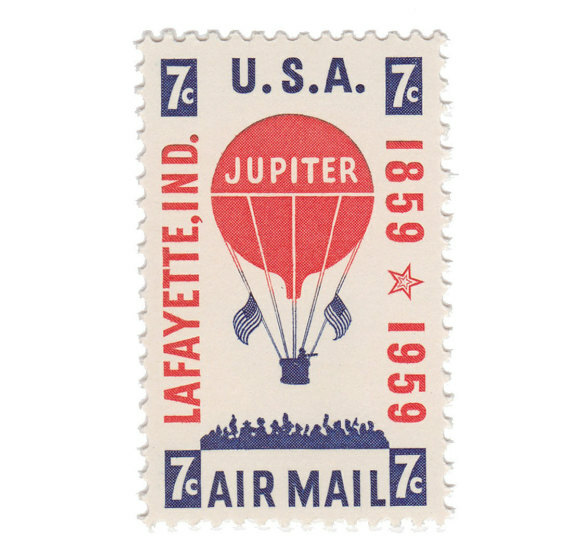 They’re often priced a little higher than where I am to land, BUT what you can find is the stamp code or “Scott number.” The Scott Number is a specific number for each stamp (kinda like the social security number of stamps.) If you find a stamp you love on this website, you can then search for the stamp with its Scott number on ebay. Rule 1: If you FALL IN LOVE with a stamp, don’t rule it out. I’m always a proponent of having one splurge stamp (if you budget allows yadda yadda) then find less expensive stamps to get the price up on the envelope to mail. 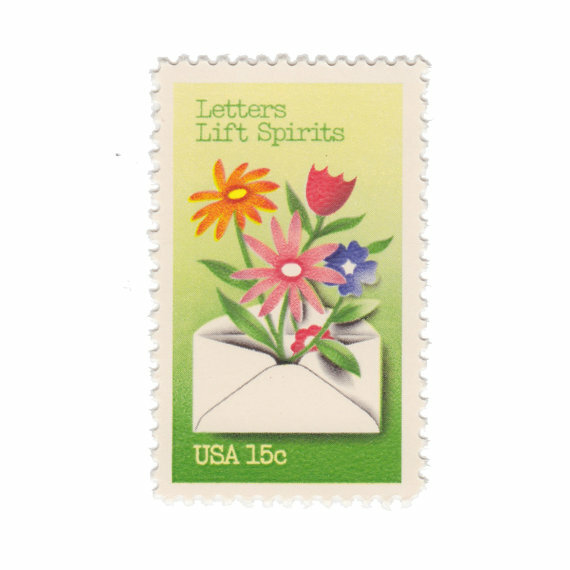 Rule 2: I try to find one “higher” cent stamp, such as 20 cents, to avoid covering the envelope in a mass of stamps. Rule 3: Weigh your envelope and invitation. Those little 5 or 3 cent stamps are gold at the end of the day. Rule 4: I should have listed this earlier, but tell your calligrapher first thing if you’re going this route. We’ll need to make sure we leave room for all the pretties. Rule 5: Most of the stamps will either be lick or non-stick. Get yourself envelope moistener and save yourself some headache. That's it! Just set aside a few minutes a day and voila! You'll have a collection in no time.